I wasn’t expecting much, simply because over the years, I have conditioned myself to believe that better things are found in higher altitudes. At barely 1300 metres, Rewalsar wasn’t expected to make anyone’s jaw drop. But as the bus approached the town, my opinion began to change. The road was actually at a slightly higher altitude and I could see the whole town, the lake in the middle, and the surrounding hills from my bus window. 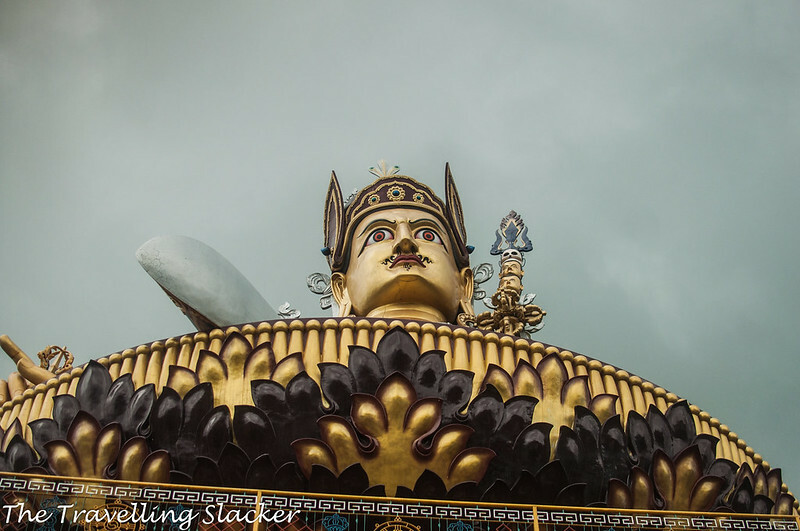 There was a layer of mist covering a certain part of the hill but a gentle breeze drove it away and the gigantic statue of Padmasambhava revealed itself too. I first heard fo Rewalsar only in 2013, just after visiting the Parashar Lake. The driver of the shared car offered to take me there for a quick trip but I was tired and gave up on that opportunity. Since then, I have crossed Mandi countless times, moving towards higher altitudes of Kullu and Lahaul but yet I never managed to make that short detour to Rewalsar. This time, I finally decided to wipe out this blot on my Himachal CV and spend a couple of day in Rewalsar at the end of my long summer. 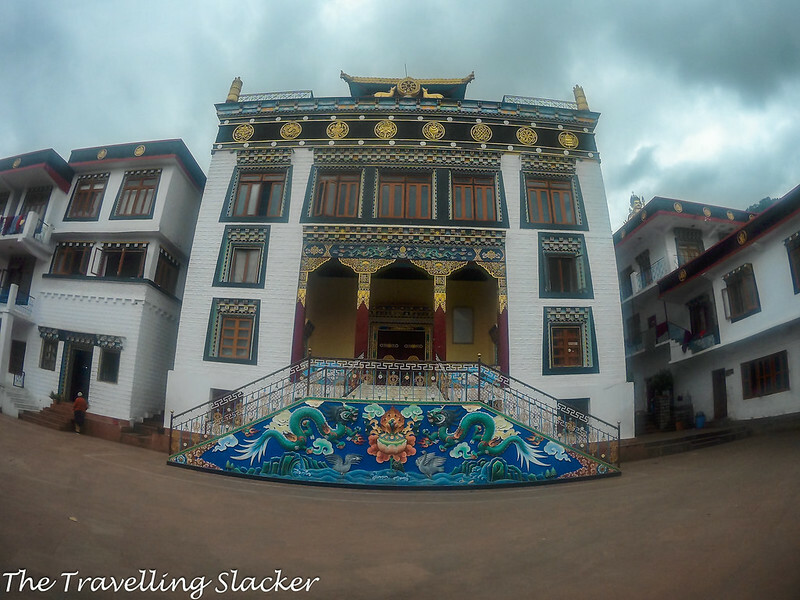 For the uninitiated, Rewalsar is a major Buddhist center which is around 22 KMs from Mandi. 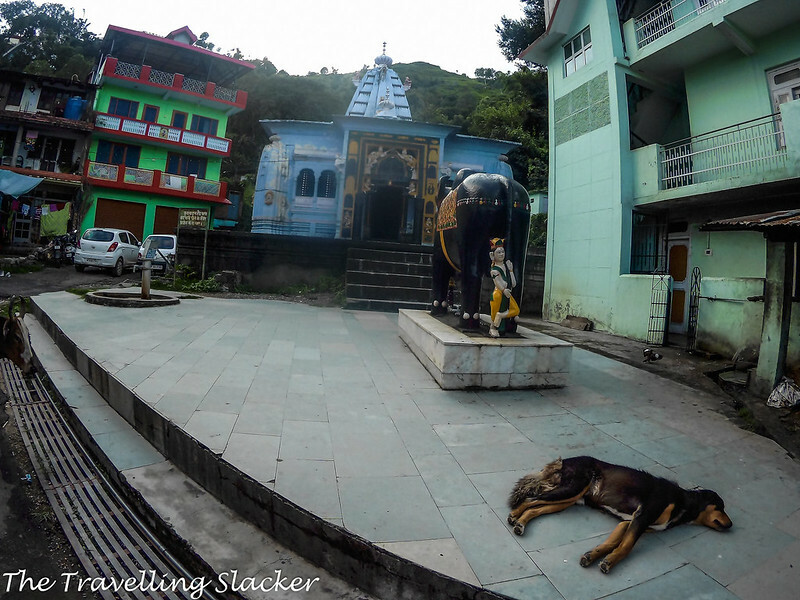 It also has some Hindu temples with associated mythology and there is a large Gurudwara too because of Guru Gobind Singh, the 10th Sikh Guru once visited it in order to form a political alliance with the hill kingdoms against Aurangzeb. However, the town is primarily dominated by Tibetan Buddhists. 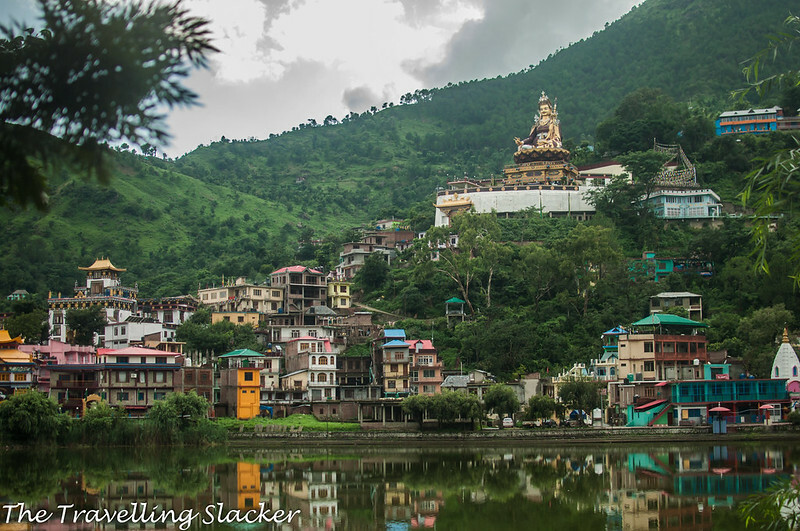 They associate it with Padmasambhava (Guru Rinpoche), the 8th-century master credited for spreading Buddhism in Tibet. They call this lake Tso Pema (Lotus Lake). People from Tibetan border areas at higher altitudes, where the winter is harsh, tend to come down to Rewalsar nowadays. This was once told to me by a guy in Spiti. As a young man, he had to take care of his home even during the winter but his elderly grandparents were sent to Rewalsar for a safer stay during those months. My bus reached the town at around noon and I soon realized that you cannot escape the gaze of Padmasambhava from any point of the town. It can be seen from every angle. The whole statue is seen from a distance but even from close range, the head can be seen popping out from behind the buildings. I needed a cheap place to stay. 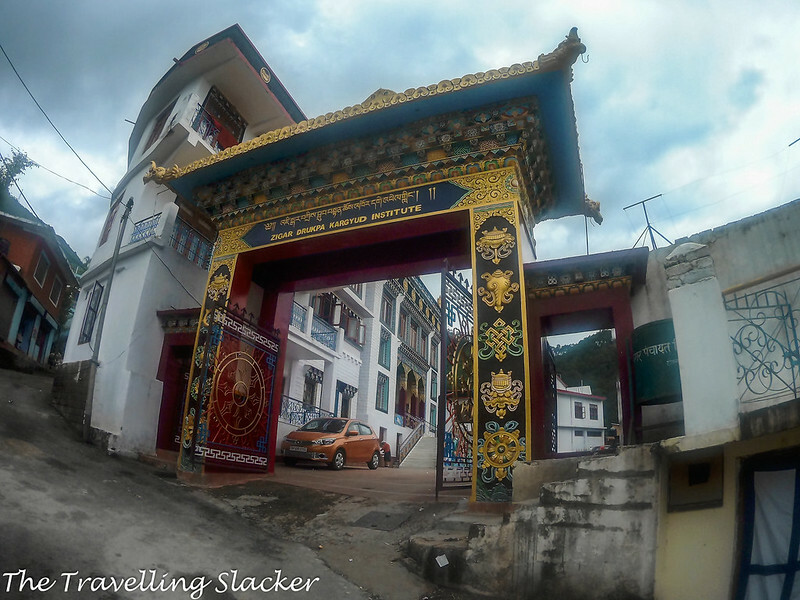 There is a nice HPTDC hotel and some other options in town but I was interested in staying at one of the monasteries. 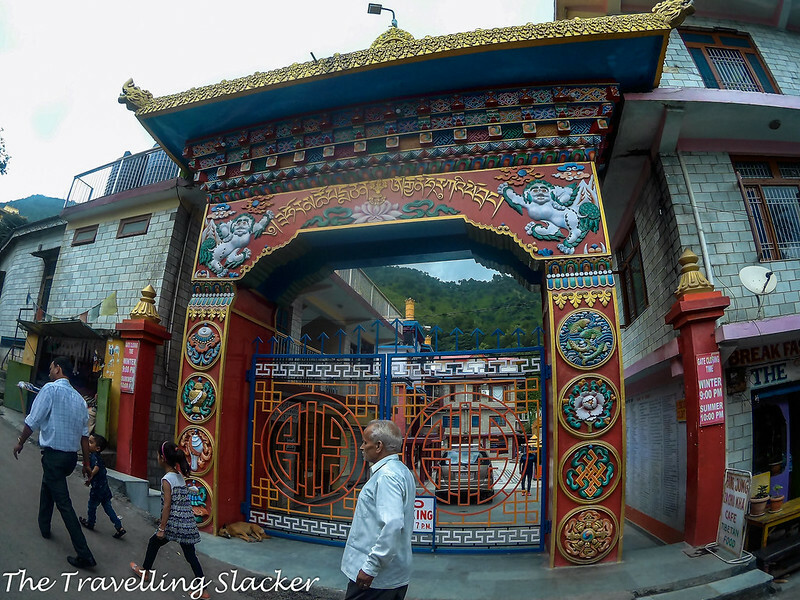 After fooling around for a while, I entered the gates of Nyingma Gompa and found a hotel-like counter. I was expecting some austere serai fit for monks but it turned out that they have rooms just like hotels with attached bathroom and TV, for only INR 300! 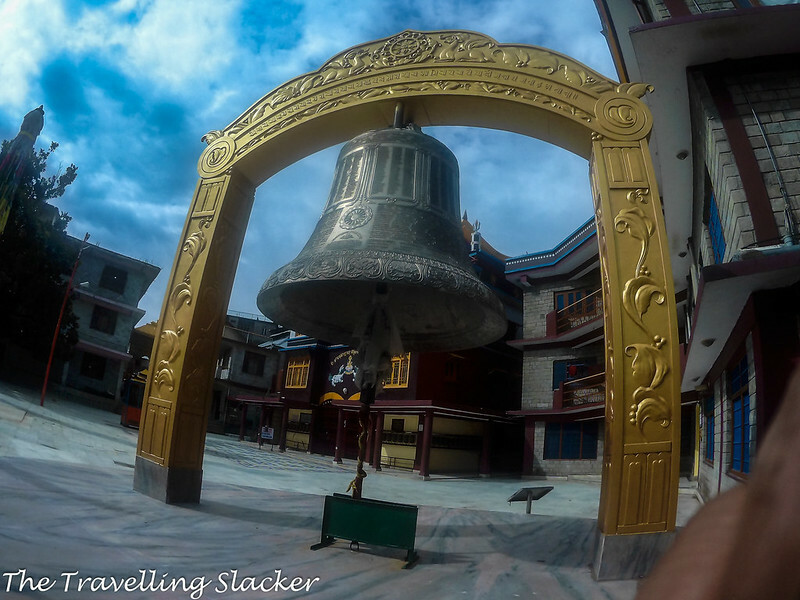 This monastery is a destination itself, with the usual delights of Buddhist sculpture and a large “Peace Bell” that woke me up each morning. A few yeards from there was the Zigar Drukpa Kagyud Monastery, an even bigger edifice. But all these are new constructions. Although the story of Rewalsar dates back to the first millennium, these monasteries are mostly new. The place has gone through sort of a renaissance after the arrival of Tibetan refugees in the 20th century, with a conscious effort to turn this into a centre of Buddhist theosophy and learning. * Do note that some of these pictures were taken using the SJCAM and hence not as sharp as they need to be. But it is a wider camera that helped me overcome the limitations of 35mm lens of my DSLR. All normal looking pictures are from the DSLR and fish-eye-ish ones are form the action cam. The pinnacle of this revival is, of course, the larger than life statue of Padmasambhava that I mentioned earlier. This 37.5 metre (123 ft) colossus was completed only in 2012. I generally associate Buddhism with all things serene and subtle. So this imposing colossus was somewhat disconcerting for me and took some getting used to. 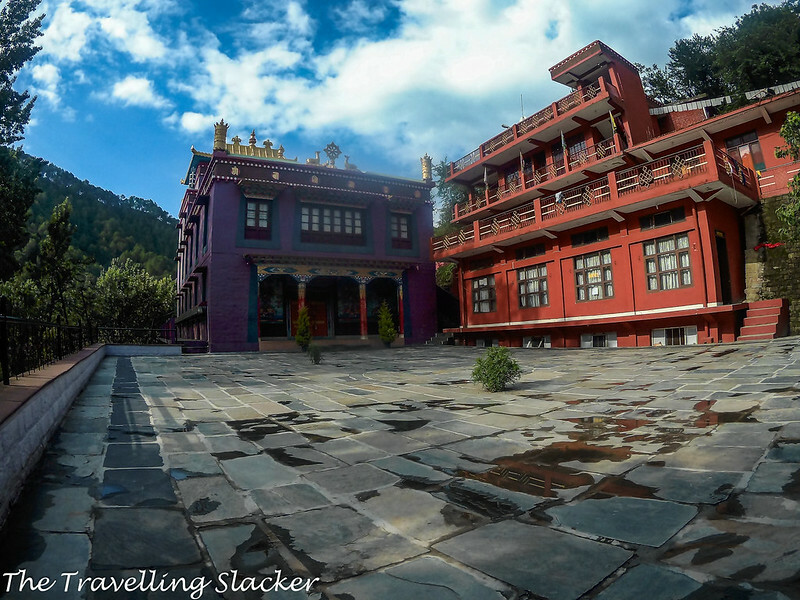 It is located just behind Zigar Drukpa Kagyud but it is a standalone structure in itself. It turned out to be even bigger than it looked from a distance. In fact, one has to climb a steep flight of stairs only to reach the base of the statue. There are stairs even to reach the top of the statue while there is a spacious temple under it! The base of the statue is also a good point to have a view of the lake. But in any case, a visit to Rewalsar is not complete without a “Kora” (circumambulation) of the lake. Devout people can be seen walking around the lake all the time and I also did it several times during my stay. 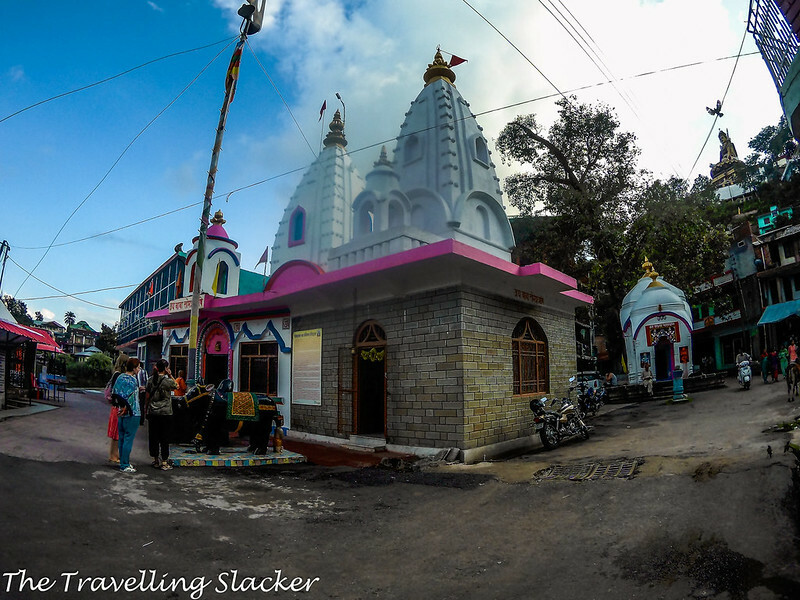 The primary Hindu shrine of Lomas Rishi and some assorted shrines are all located in one part of the bank. 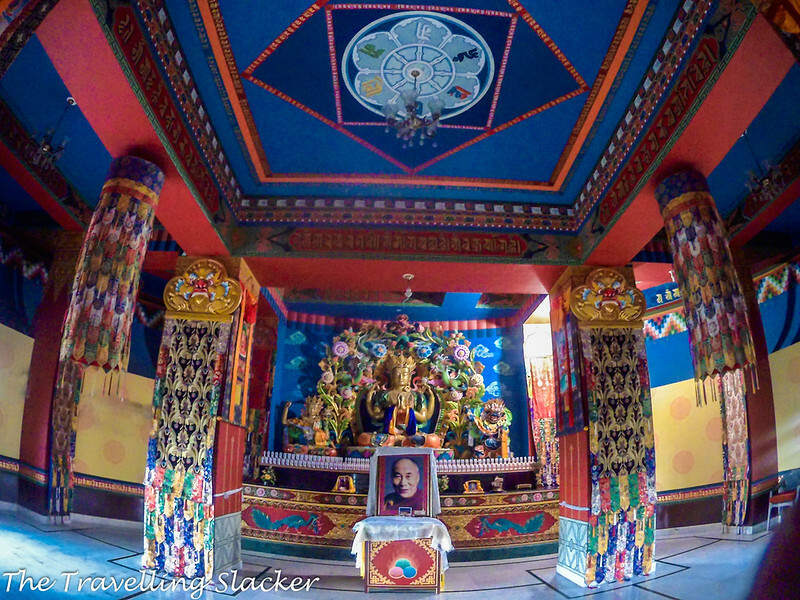 I also paid a visit to the Drikung Kagyu Monastery, which has a beautiful purplish-red decor and is home to the Emaho Cafe, the most popular cafe in town. The location is perfect because you can see the lake and the statue while sipping your drink. I bought some incense sticks from there too although the same thing is also available in Tibetan dominated areas of Delhi such as Majnu ka Tila. 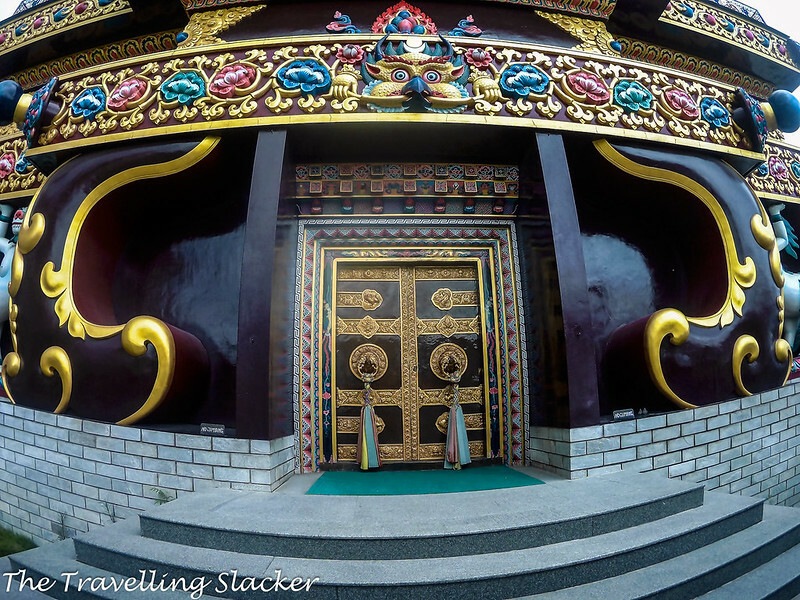 The other major monastery here is Zangdok Palri Palace Monastery that I could not visit. 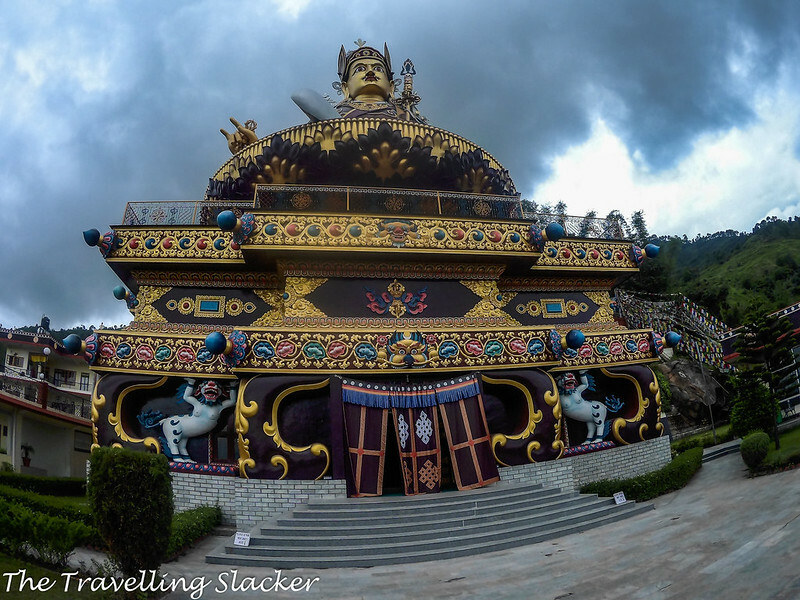 Apart from that, one should hike up the hills to reach certain ancient caves that are associated with the original Padmasambhava stories. There are supposed to be more lakes in the upper reaches too. However, Rewalsar was having the same impact on me as Kasar Devi. There was a strange, languid, calmness in it that made me inactive. I just walked around the town and had no motivation left to go for a strenuous hike. I still have a lot to cover in Rewalsar. But as a preliminary visit, it was easy and painless. I think it is an excellent place for someone looking to avoid the crowd and spend a few pensive days without spending much. Take any bus on the Delhi-Manali route and get down at Mandi. From Mandi bus stand you should get buses to Rewalsar every hour. It is around 23 kms from Mandi and takes around an hour on public transport. There are buses from Dharamsala too. But from that side, it will take the whole day. Where to Stay in Rewalsar? 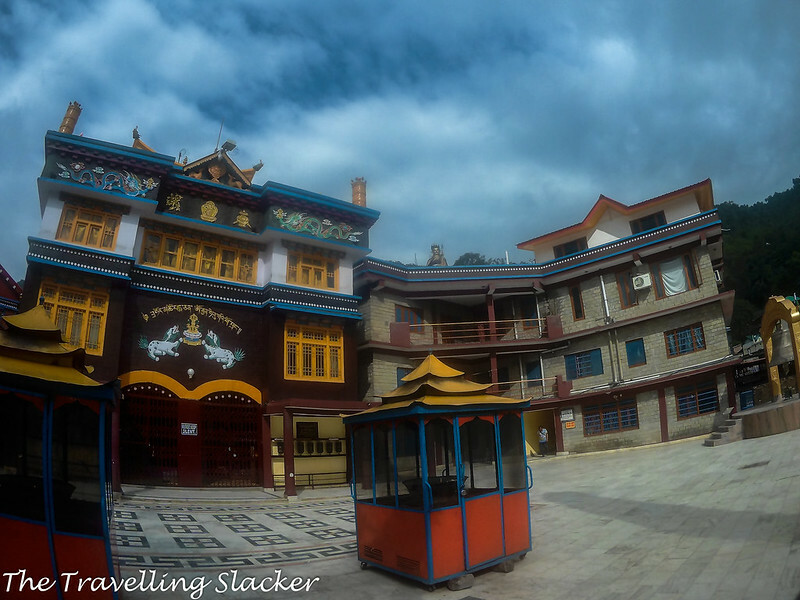 I stayed at Nyingma Gompa for INR 300 for a single room with attached bathroom and TV. Rewalsar has an HPTDC Hotel as well as some small local hotels but the best way to experience it is to stay in the monasteries. They have both dorms as well as individual rooms with various facilities at various rates. The Sikh Gurudwara also has accommodation as far as I know. What to see in Rewalsar? Rewalsar is primarily a Buddhist centre. 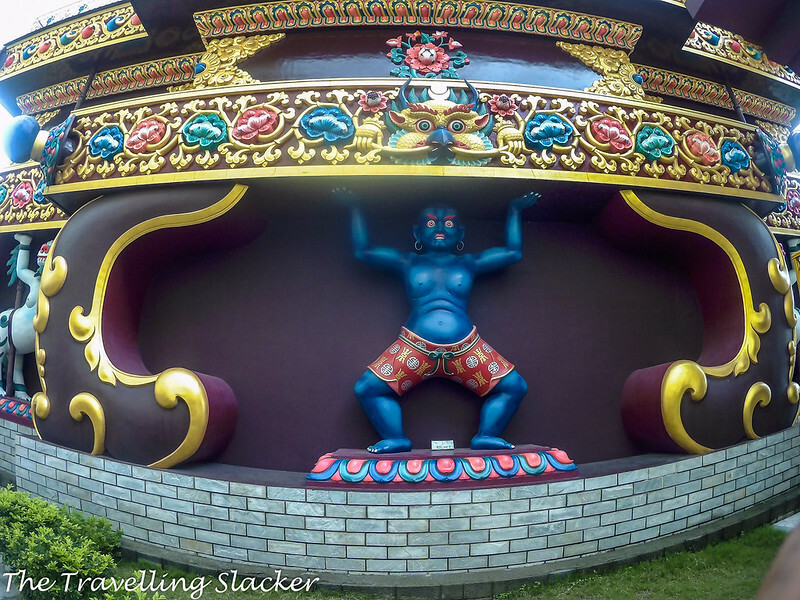 The giant Padmasambhava statue and the monasteries will take up most of your time. 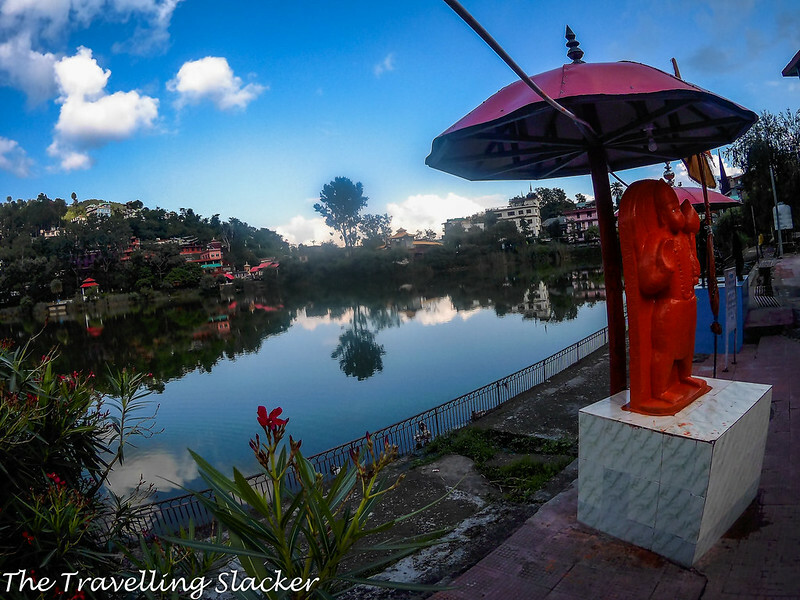 The Rewalsar Lake itself is a destination and you must take a round of it along with local devotees and see the reflections of the town from various angles. 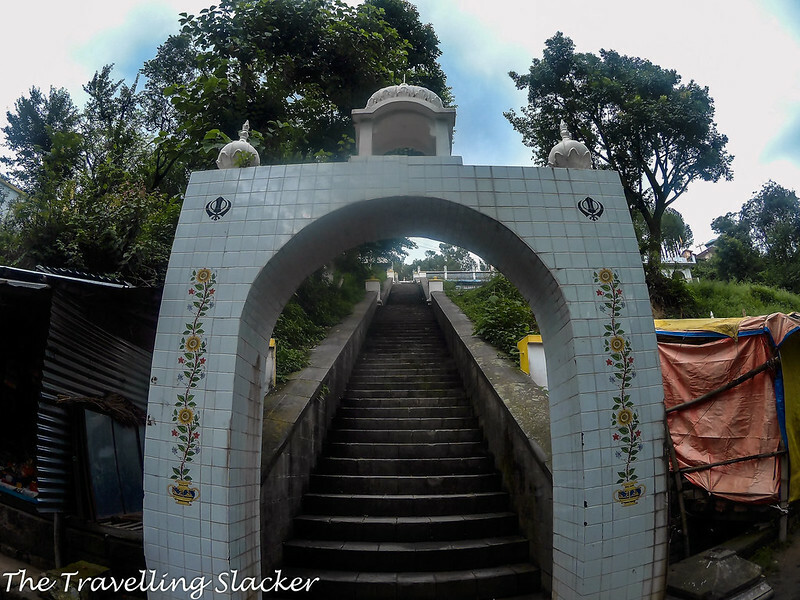 In the process, you will also come across the Hindu and Sikh shrines and explore their own histories and myths. Are there any treks in Rewalsar? 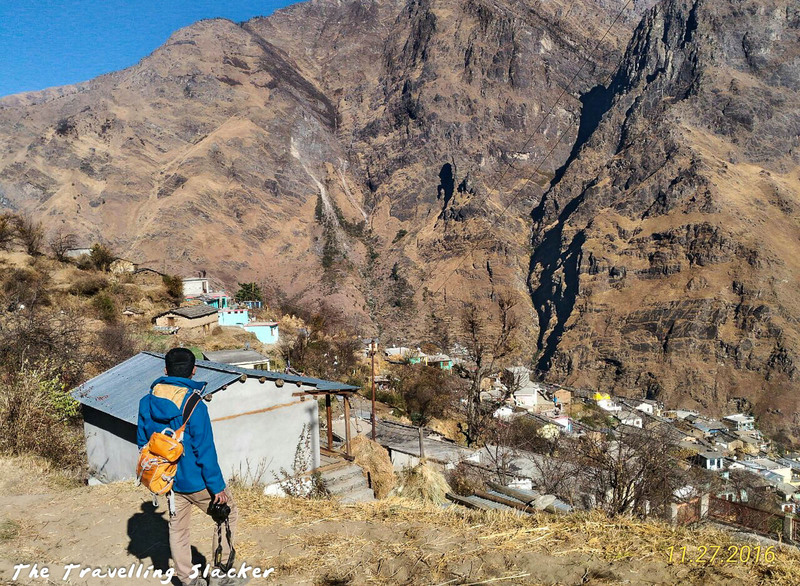 Yes, it is not very well known and I did not do it but the trek to Sarkidhar village is said to be really beautiful. 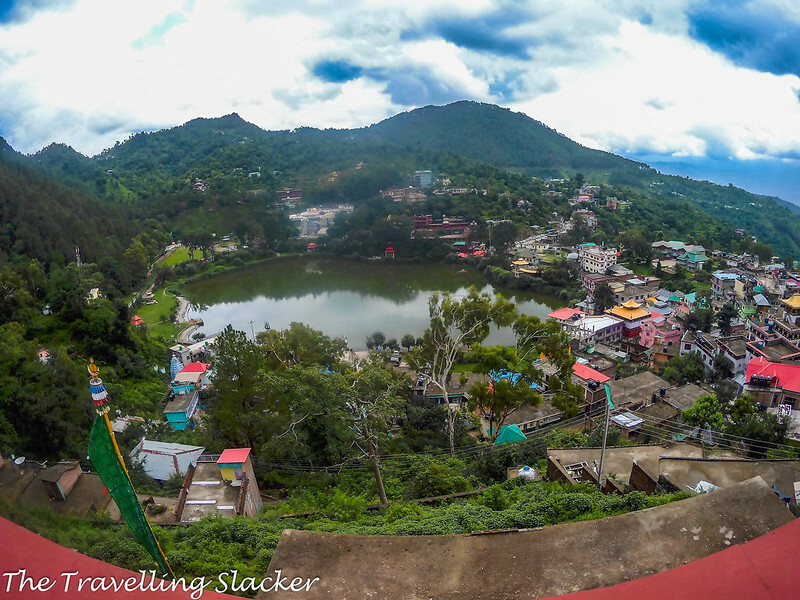 Also, there are seven other lakes in the higher altitudes in the region between Rewalsar and Naina Devi Temple. 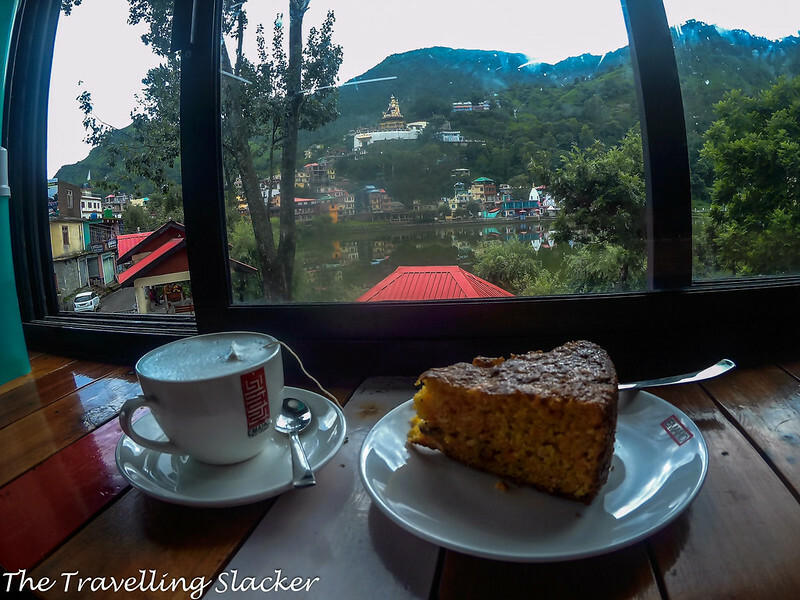 Where to eat in Rewalsar? Rewalsar has many eateries and food will never be an issue. Tibetan, as well as India food, can easily be found. 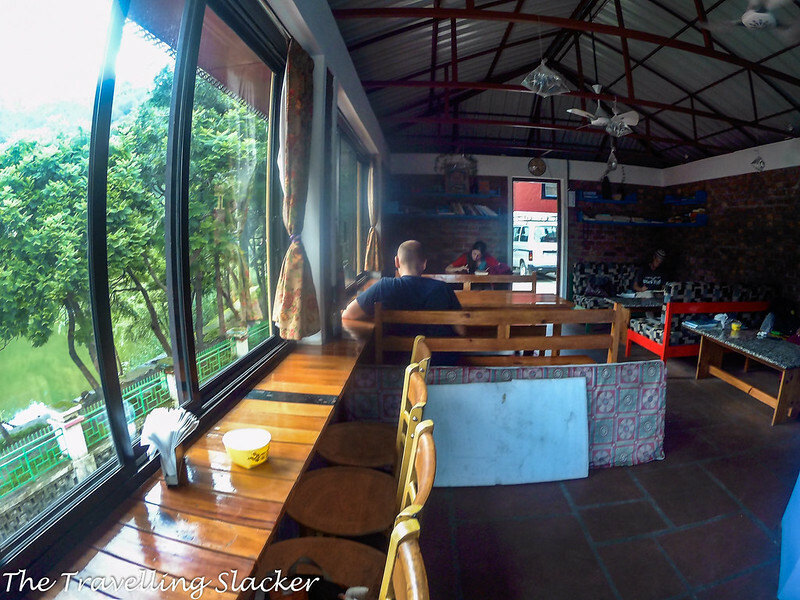 Most backpackers can be found sitting at the Emaho Cafe, working on their laptop, and staring at the lake alternately. However, I discovered the best food in a nondescript, nameless restaurant near the bus stand. It served excellent Mandiyali Dham for a mere INR 50 and I kept coming back to it for every meal. ← A Walk to Hudan Valley… Again! I’ve never heard of Rewalsar before. It really is off the beaten path, but I’m managed you finally managed to take the detour after so long. I have actually not heard of Rewalsar but there are so many small towns and cities in India that I’m not surprised. I love all your pictures, great that you had a wide-angle lens, has really captured the beauty of the town and the monastery! Rewalsar sounds like a very spiritual place – I’m glad that it turned out to be better than you expected. 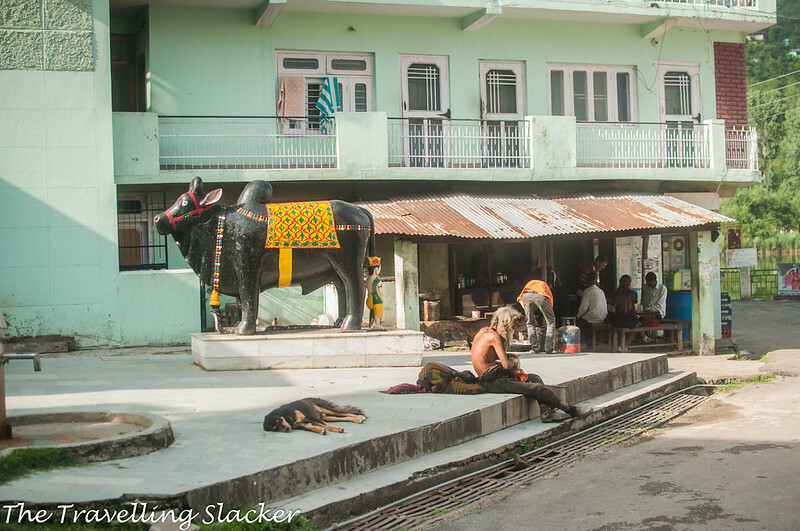 Interesting to see fairly modern buildings in a millennia old town – love how Tibetan arrivals in the 20th century have turned the region into a centre of Buddhist theosophy and learning. Between visiting the different monasteries, and walks around the beautiful lake – definitely enough to keep you busy. 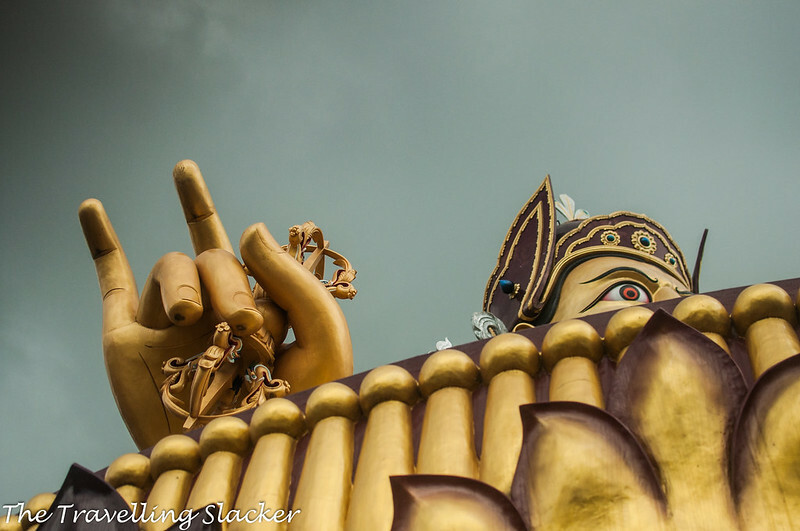 The giant Padmasambhava statue looks quite imposing indeed! It was certainly felt like a very spiritual place. 🙂 Nice information about this place. Will check it out also. Thanks!! 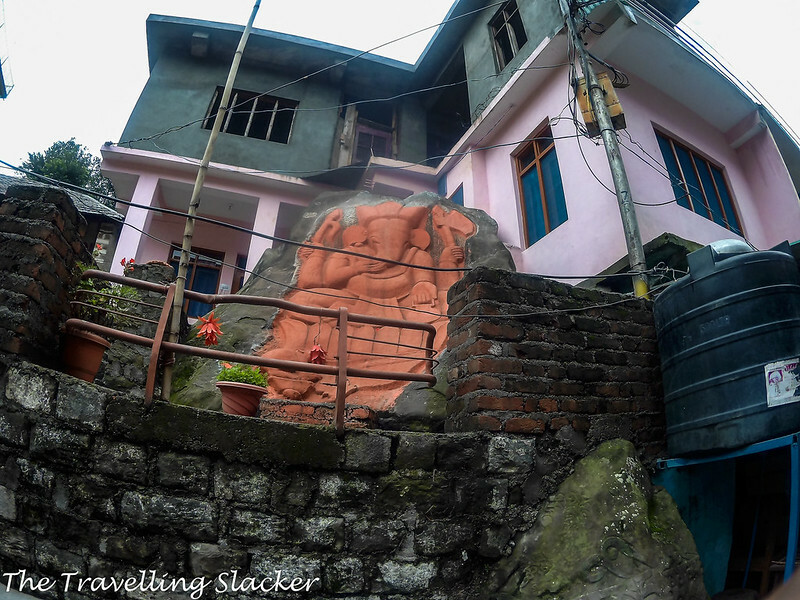 Rewalsar is nothing short of a revelation.I was not aware of this place and you have uncovered another gem for us.The place has the same unique charm that is so typical of Buddhist settlements, the same tranquility and the same cleanliness. Reminds me of some of the places in Sikkim and other parts of the North East. I too have made myself believe that higher destination + more beauty, but as you’ve proven here, that’s not always true! Rewalsar looks absolutely stunning. Drikung Kagyu Monastery’s cafe sounds like the perfect place to spend a cozy morning. This is what I call a hidden gem. Rewalsar definitely is going to be on my list if and when I go to that region. I am amazed at the price of accommodation! 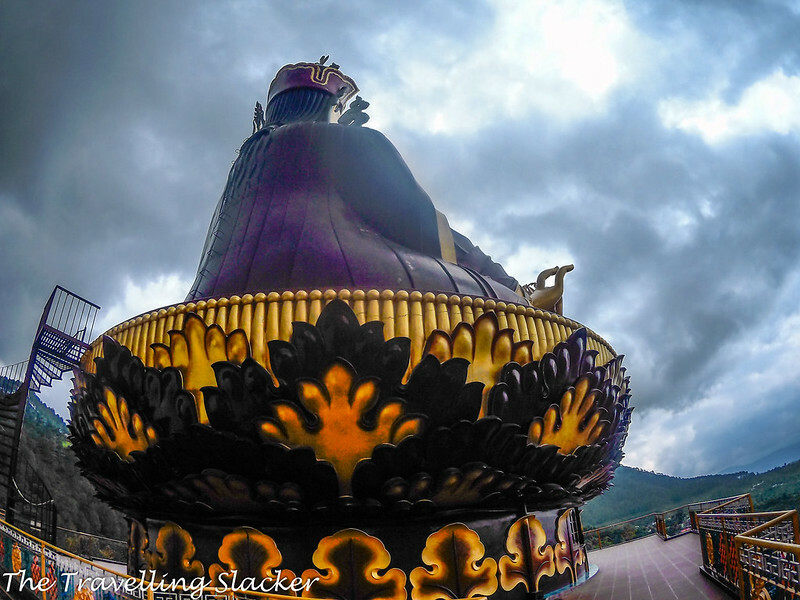 Wow the statue of Padmasambhava is humongous! At the base, you can see all the fine details – quite impressive work! The view of the lake from there is a great treat after a hike up to the statue!